When someone asks the question, “What makes a bird a bird,” the first thing that comes to mind is always feathers. Every bird has feathers. Even some dinosaurs—which are bird relatives—had feathers. Human relatives possibly even discovered using feathers for decoration as early as Neanderthals. Feathers are a true wonder of evolution. They keep birds warm when it’s cold, cool when it’s hot, and dry when it’s wet. They allow birds not only to fly, but to fly tens of thousands of miles annually, to remain airborn in virtually any condition with which they are met, to fly underwater and miles into the sky. 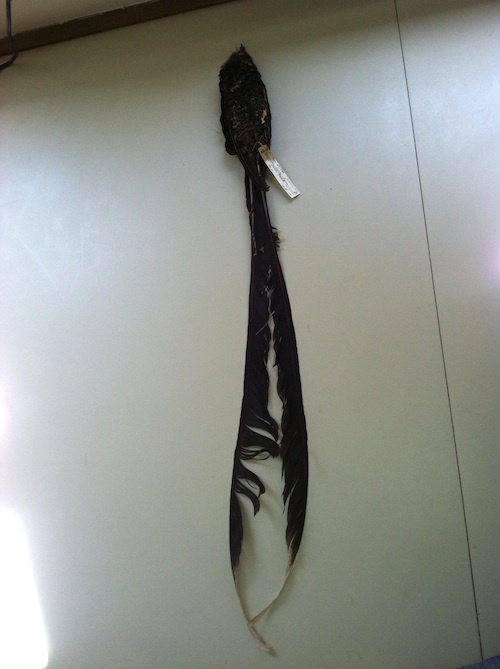 Most birds replace most feathers once per year in a process called molt. Below is a selection of feathers, from mundane to miraculous, from the Field Museum’s bird collection. Waxwings are so named because of the strange red waxy tips to a few of their wing feathers, like on the Bohemian Waxwing (Bombycilla garrulus), the lower bird in the photo above. However, Japanese Waxwings (Bombycilla japonica) has false-wax tips; the red in their wings is actually just red spots on their feathers. Owlet-nightjars, such as this Feline Owlet-nightjar (Aegotheles insignis) from Papua New Guinea, have strange modified whiskers (rictal bristles) that may have an as-yet-unknown purpose. Lyre-tailed Nightjar (Uropsalis lyra) has tail feathers that are much longer than its body. This Great Hornbill is replacing its wingtip feathers. Photo by Josh Engel. This Ring-billed Gull is ~2 years old. The next time it molts it will attain its adult plumage. Photo by Josh Engel. 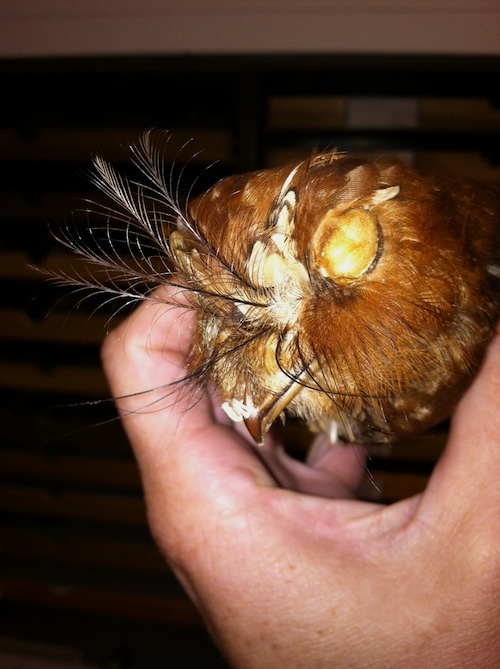 See curator John Bates talk about his favorite specimen, one with extraordinary feathers.